We see it all the time – properties that fall into such a state of degradation that major repairs are required to fix the problem, leading to overblown budgets, huge disruptions and unhappy owners. But there’s another way – having a preventative and proactive maintenance approach. By addressing maintenance regularly, with the help of your body corporate manager and a reliable contractor can save yourself time, money and stress in the long term. Here are some of the many advantages of having a proactive, rather than reactive, approach to maintenance. Surface damage can lead to significant repairs, which can come with a significant price tag. By scheduling maintenance work on a regular basis, you can prevent damage, decay or rot from even occurring, simply by undertaking painting or surface cleaning, which costs much less. When managing a sinking fund, it is important to plan ahead, as well as budget for the unexpected, and big withdrawals can make this much more difficult. Painting, for example, is typically done every 7–10 years, and often comes at a large expense, but by spreading this cost out into smaller jobs, you can plan ahead easily and ensure there are funds left in the coffers should anything catch you off-guard. 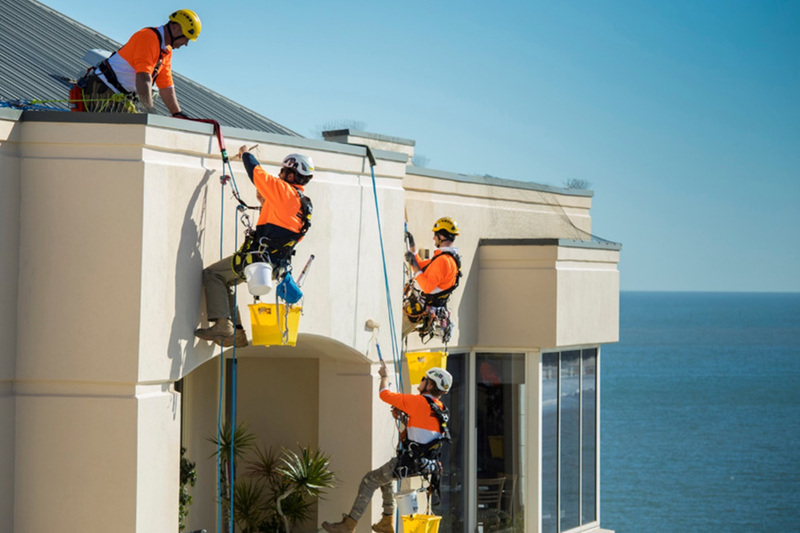 Many contractors offer several maintenance painting solutions, from pay-as-you-go to even spread, so you can pick the solution that suits your budget and needs perfectly. Preventative maintenance means one less thing on your plate, as maintenance is regularly scheduled without you having to think about it. It also means fewer rude shocks, as more frequent inspections mean potential issues like water damage or rust are detected and addressed early, before they develop into much more significant problems. When you work with a trusted contractor, you can be confident that they are up to date in the latest painting and maintenance developments, as well as with the most recent safety and legislation requirements. Working with a high-calibre contractor is especially important if the strata property is a significant landmark or has historical importance. For example, when Higgins secured the maintenance schedule for the iconic Colgate Palmolive building in Sydney’s Balmain, we took great pains to match the existing colour scheme exactly, carry out exterior works in a timely manner so residents could continue to enjoy the use of their balconies, and ensure the safety of the many locals who use the site for walking and jogging. 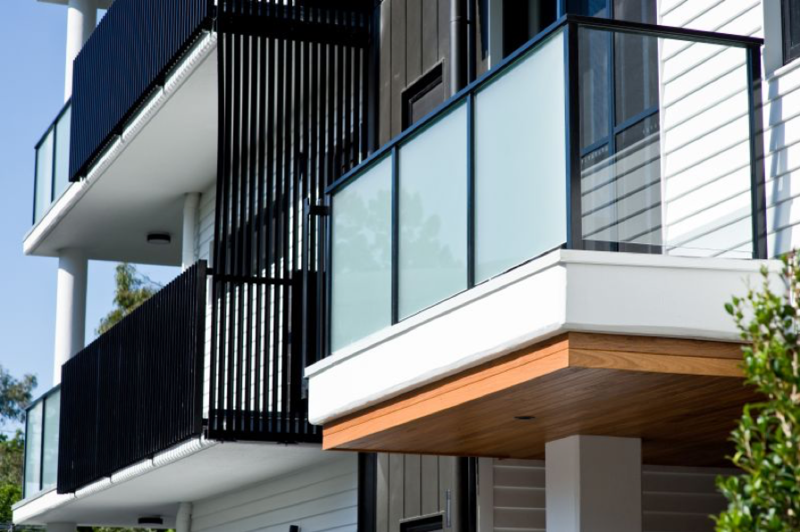 Working with the same contractor for multiple jobs also means the contractor will be more familiar with the property, making it easier to get approval from the strata committee for future jobs. Here are a few proactive maintenance tips to help you keep your strata property in tip-top shape. By washing surfaces annually, you can extend the lifetime of your paintwork by several years. For a basic cleaning of an exterior surface, mix environmentally friendly detergent in a bucket of warm water, and apply with a soft-bristle cleaning brush or broom. Start at the top of the building and move down, to prevent streaking, and rinse off with a garden hose before it dries. Planned maintenance painting does not mean the surface must be painted at the scheduled time. This is neither technically correct, nor economically expedient. Rather, it should be dependent on the condition of the surface – you may find the surface only needs to be washed, which costs less than a repaint. Surfaces also do not deteriorate at the same rate – generally speaking, the west wall will show the first signs of wear and tear, followed by the north wall, the east wall, and finally the south wall. Planning your maintenance accordingly will ensure you get the most bang for your buck. While rust-converters seem might like a great time-saver, they are not recommended by Standards Australia. Instead, rust should be removed via mechanical means, like high-power washing, mechanical abrasion or hand sanding, then spot-primed and top-coated. This should be carried out by a suitably qualified professional applicator. When timber cracks, moisture can enter the area, causing blistering, mould and rotting. That’s why cracks should be addressed as quickly as possible. Rectification should be carried out by a suitably qualified professional applicator. Mould or mildew in a strata property can pose a health threat to residents, causing allergic reactions and breathing difficulties, so any mould or mildew should be cleaned as quickly as possible. Simply clean the surface with a solution that is 1 part bleach, 4 parts water and rinse thoroughly while the surface is still wet.